Lately I have been struggling with my work and working for people that, well, are hard to work for. I know that we live in a fallen world and that I’m also sinful. I know that this is a secular job with sinful people doing sinful things at the workplace. Their work in and of itself is not sinful, but the ultimate reason why we do things is for a sinful end. For the Christian I would suggest that we want to do everything to the glory of God, but we execute it sinfully (most of the time). One of the hardest things to accomplish is obeying your boss or certain managers when they do wrong towards you. Anyone who has ever worked knows what I am talking about. Having a sinner in charge of you and expecting you to produce everything is one thing, but when your boss or manager does wrong towards you on top of loading you up with everything to do, adds to our disobedience. Sometimes things go wrong, the work environment gets frustrating, and this is when the sinful rebellion comes out. You do not have to say it out loud, but you are thinking evil thoughts about your boss, probably cussing him/her out in your head as you are painfully doing the work. You might even say bad things about your boss openly or could be very subtle in your rebellion towards your boss. These things are wrong and sinful. These things are evil. God has called us out of the darkness and into the light of His Beloved Son. As we have been redeemed we must show redeemed qualities. 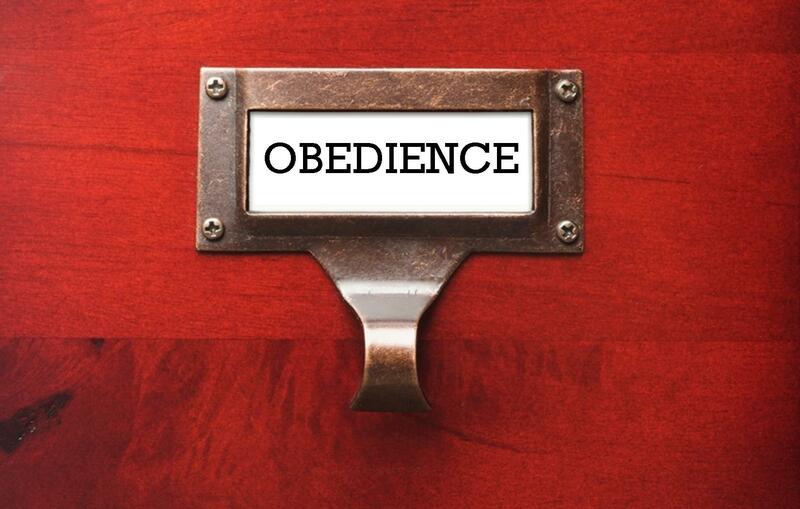 We are called to obey our masters and to do so “as slaves of Christ, doing the will of God from the heart”, working for our boss as we would “to the Lord”. Remember the qualities you should have as you go to your secular job, and praise God that He has been merciful to you even though you have sinned against Him.